BOWMANSVILLE DIAMONDS IN SQUARES ANTIQUE QUILT, PA. True red color, not wine, in two shades comprise the pieces in the economy patch blocks set on point and in the alternating solid blocks. Organized so that deeper reds concentrate in the center panel flanked by panels of lighter red on both sides. Small scale piecing and blocks. 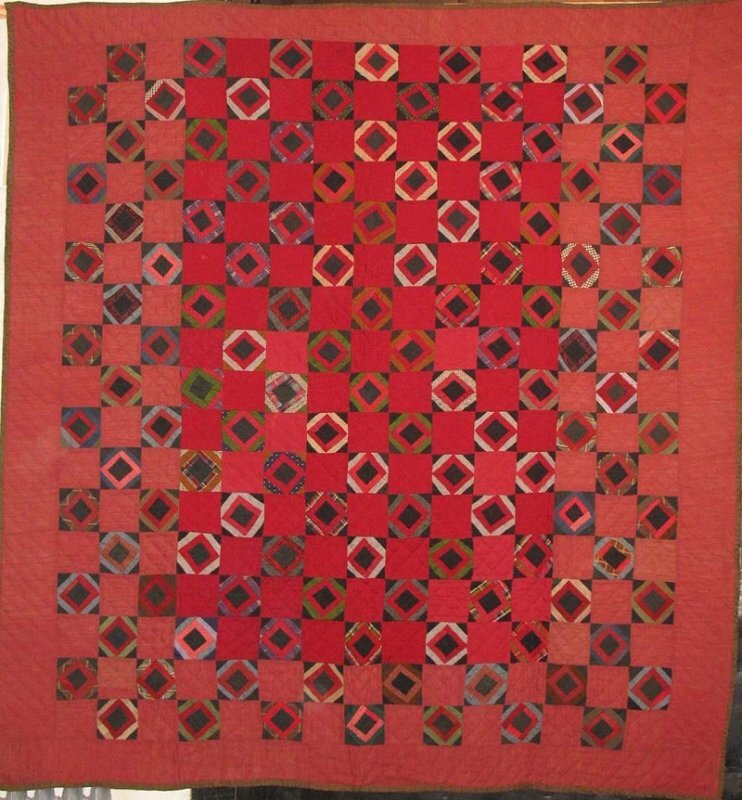 Well quilted, which is unusual for a wool quilt like this.